Manchester United have set sight on Real Madrid midfielder Toni Kroos as they look to recruit the German midfielder. 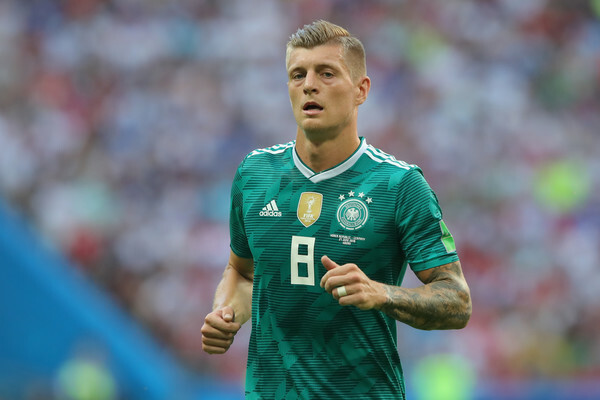 Spanish news outlet AS are reporting that Toni Kroos is top on the list of players Manchester United are interested in signing during a recent meeting between Manchester United's chief executive Ed Woodard and club manager Jose Mourinho. Ed Woodard feels that Toni Kroos will be a great addition to their squad and he will bring out the best in their star player Paul Pogba. According to AS, United plan to lure the 28-year old midfielder by making him one of the leaders of their new project as they plan to win the Premier League title and get back to their glory days. Real Madrid are not willing to let go their ever-present star midfielder easily, Los Blancos are expected to block any offer from interested clubs or they will have to pay his 500m Euro release clause. Toni Kroos still has four years left on his Madrid contract.